I chanted for two hours today and I thought it was two minutes. The vastness of the universe presented itself which made time seem small by comparison. I’m a bit calmer now. If still a bit hung up on the fact that I could have, should have, started with this. But that’s all right. If I keep it up, regrets should fall away and the wounds should heal. I wonder how many hours of meditation it will take to heal the wound I made from hating myself for being stupid about meditation? What’s the prescription? I suppose I’ll know that I’ve healed the wound I made from hating myself over being blind to what was happening with me toward the end of the tour when I can write his name again. I once wrote a song that had a riff about loving him more and loving myself less. I see now that it was only my ego I needed to love less. I still needed to love my true self more. That void was what I tried to fill with drugs. Or that I wanted him to fill, but no one can ever fill that hole for you. It just becomes a wormhole that eats them alive and is still hungry for your soul. It definitely borders on NSFW. From a non-DGC standpoint, I’m not a huge fan of Rihanna. I find her voice awkward to listen to and her songs tend to be over-produced. This one’s really stripped down, and Mikky Ekko is fantastic (as well as lovely to look at, I’m shallow, don’t judge). I think embeds only work from the admin side. What I love about it is the male singer is the one with the really really sweet voice. She’s as brassy as a trumpet and he’s a woodwind. God save me from men who can sing like angels. After watching the Rihanna/Mikky Ekko video a dozen times or so, I noticed there’s also a version of him performing the song alone in a live performance. The sound on that video is, unfortunately, kind of terrible. The surprising find, though, was that there’s a BBC radio session cover of the song by 30 Seconds to Mars. I love the Diary posts, but I do miss the music that comes with you telling your story, Daron. My best friend met Shivkumar Sharma once, fell in love with the santoor, bought one and has no idea how to play it, despite being very musical and proficient with the guitar and keyboard. It sits in a closet someplace, sadly. I think different instruments fit different people’s brains. Some people take to one thing and not another and sometimes music connects to us intrinsically somehow. And sometimes the first instrument you pick up molds you so that others become confusing or impossible. I have a friend who is a genius, very talented, learned recorder and then clarinet later. Could not figure out the guitar though because the highest string is on the bottom and the low string is on the top, as she put it, because in her mind the closer they were to her face the higher the notes should be (like on the recorder or clarinet). For me the piano is an uphill struggle. I can kind of fight it and make a decent sound for a party, but don’t ask me to stick to sheet music or anything. I can’t wrap my mind around reading the double staff. I didn’t start learning it early enough, and the idea of my two hands doing things independently of each other doesn’t really compute. On the guitar they do different things but they are working together to make the notes, not separately. I haven’t tried the santoor. I’ve played around with the hammered dulcimer, though, which is tricky but I think I could eventually get it with practice. Hitting the strings accurately and so the hammers bounce off just right is kind of tricky. I think I had a point. Oh right. Your friend probably fell in love with the sound that master Sharma made, but how much of that was the santoor and how much was Sharma himself? “There’s no denying that “Stay” is a powerful song. The Grammys agree, Patti Smith agrees, and when Rihanna heard songwriter Mikky Ekko’s original, she did too — and now you can hear the version that first caught RiRi’s attention exclusively here. 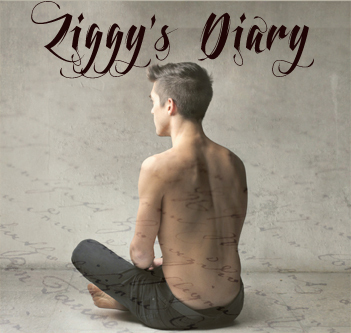 His range and timbre are so similar to Ziggy’s. Don’t you think? I think you miss Ziggy, that’s what I think. I love the 30 Seconds to Mars version. Jared Leto nailed it. Interesting that there are so many versions out there. Powerful song. re: Daron — what are you doing here? ?